MOSCOW (Sputnik) — His words come following the Wednesday publication of Sir John Chilcot’s long-awaited report on Britain’s involvement into the Iraq invasion. The report said the Prime Minister Tony Blair government’s decision-making regarding the 2003 Iraq War had been based on flawed intelligence. The report mentioned that Blair had been warned that military action in Iraq would increase Al-Qaeda threat to Britain. "I believe the invasion of Iraq and subsequent mishandling of the Occupation (dismantling of the Iraqi Army and de-Ba’athification) contributed to the rise of armed radicalism in Iraq and its neighbors, and in turn to the rise in terrorist attacks in the West, some of which were carried out by disaffected residents of the countries in which the attacks took place," Barratt, who headed Australia's Defense Department in 1998-1999, said. Barratt suggested that Australia, that actively participated in the Iraq campaign, needed its own Chilcot-style inquiry, with a Royal Commission consisting of independent appointees approved by the parliament being "the most powerful and independent body" to conduct such an inquiry. Many Australians strongly support the country’s alliance with the United States, the former defense official said, and "some support our participation in the Iraq War on that ground." However, now Australia, in his words, faces calls for "a more critical approach to decisions about going with the US in particular military actions." "In this country there is a very widespread (but not universal) view that the threat of Saddam Hussein was exaggerated by the [then Prime Minister John] Howard Government," Barratt, now a president of the Australians for War Powers Reform organization, said. Australians for War Powers Reform emerged out of the Campaign for an Iraq War Inquiry, established in 2012. 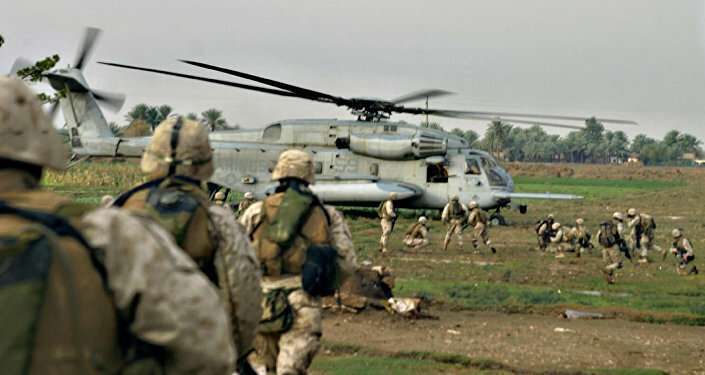 That campaign called for an independent inquiry into the reasons behind Australia’s participation in the invasion of Iraq in 2003, in order to learn lessons for the future. Canberra joined the initial coalition of forces invading Iraq in March 2003, deploying three ships and a Clearance Divers team, as well as a 500-strong Special Forces task group. Chilcot Report Slams Tony Blair for Iraq War: Will He Be Prosecuted?